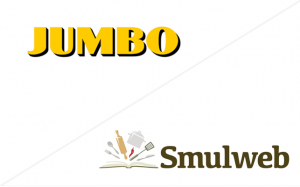 Jumbo has reached an agreement with the owner of the Nr.1 Dutch food and recipe platform Smulweb.nl to acquire all of its on-line activities, including the Smult magazine. Moreover, Smulweb has found the ideal growth engine in Jumbo. Together they can accelerate the platform’s growth and make the most beautiful recipes available for everyone in the Netherlands and Belgium.